UFC 156. Is it weird that I’m posting so much sports stuff? And that none of it is college-related? Anyway, Josh is really into the UFC, so Saturday night, we’re going out to watch the fight. That’s really all there is to that story because I don’t know much about Aldo or Edgar. (Feel free to educate me in the comments.) Okay, I’m done with the sports stuff. Mr. & Mrs What’s-Her-Name. I learned something new this week: only nine states allow a man to change his name for marriage (in the way a woman traditionally would). Florida is not one of those states. Now, a Florida man is suffering for taking on his new wife’s name; the Florida DMV has suspended his license after deciding the name change on his drivers license was fraudulent. (His Social Security card, bank accounts and passport all reflect his new last name.) Read the full story from Yahoo! News. Brunch. Let’s end the week on a lighter note, shall we? Good news: I think I may be over my breakfast obsession. Except… Josh and I are having crepes Saturday for brunch. And I kind of really want to make these adorable scones. And I still need to make that breakfast cornbread. Okay, so maybe I’m not over it. What can I say? 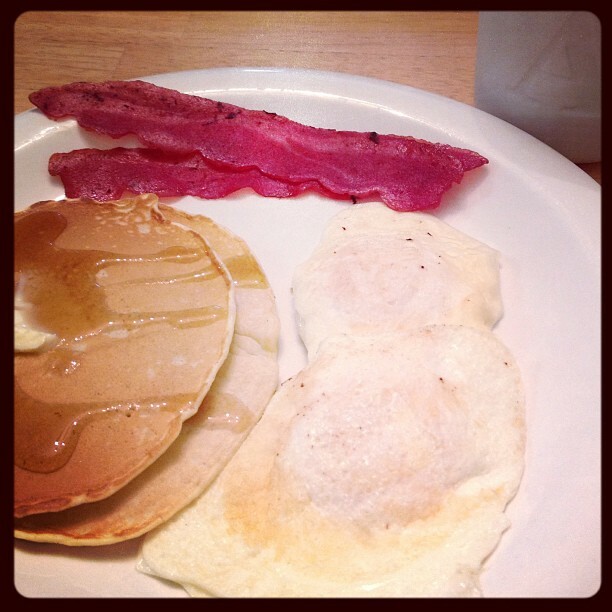 I love breakfast. 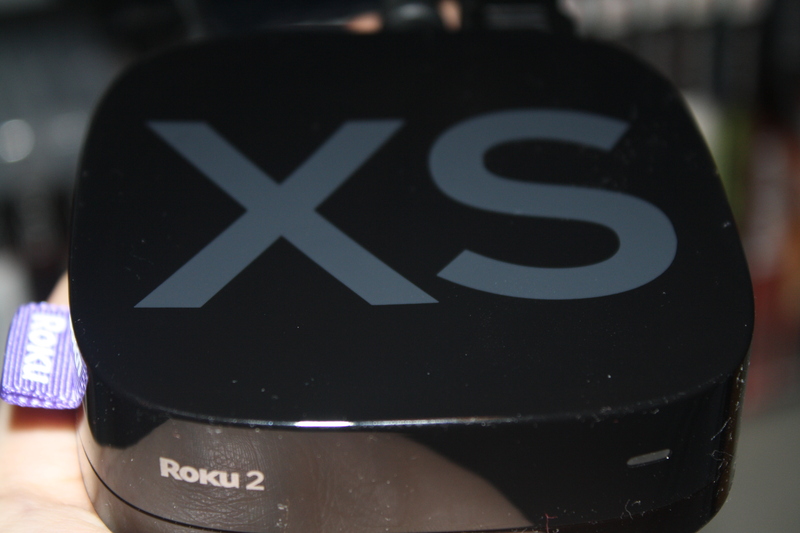 This review is for the Roku 2 XS. 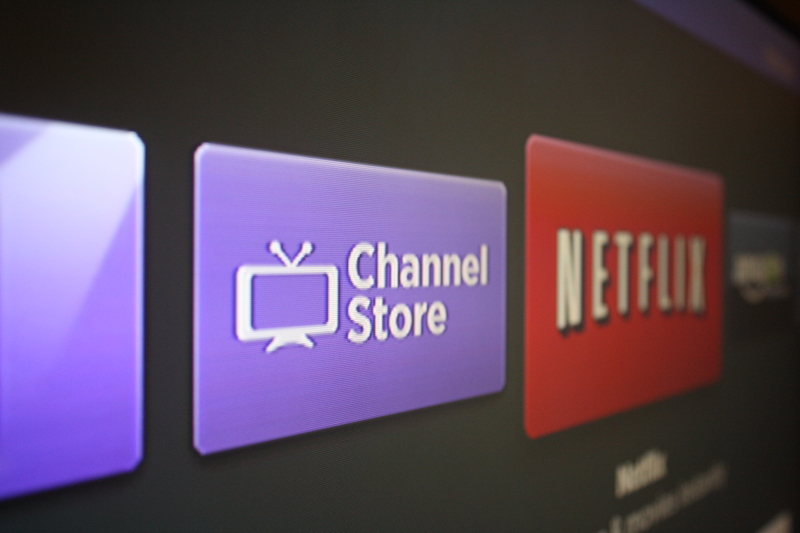 Roku offers other device options, which are available with different features. Visit shop.roku.com to find the device that best suits your needs. Until Christmas, I had never heard of a Roku. That was when I got a tour of my dad’s Roku (which kind of confused me–I got that he was excited about his sort-of-new toy, but he was really going in depth to be just showing it off). 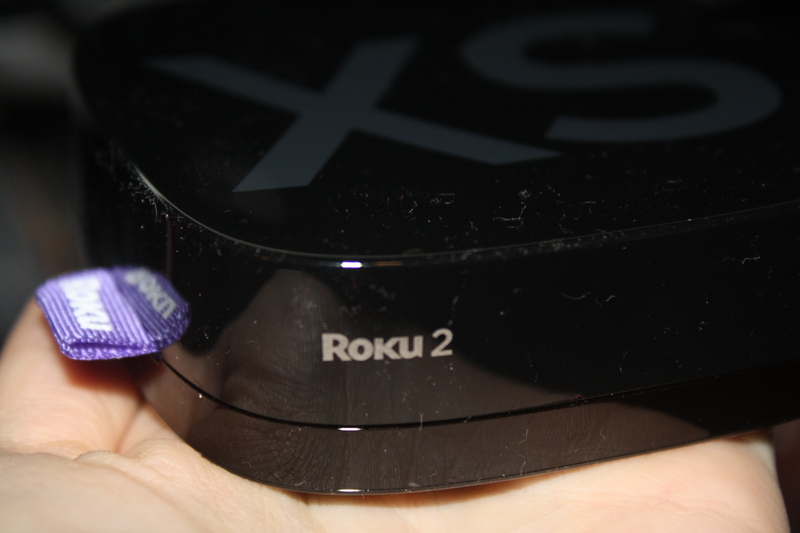 Later that weekend, when I opened the box to my very own Roku 2 XS , I totally got why he showed me all those features. Roku stays put. 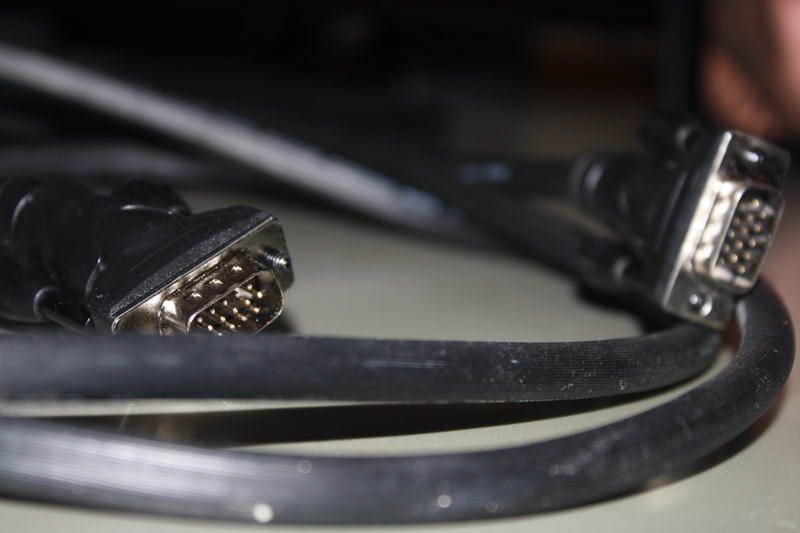 No more plugging and unpluging the VGA cord from my computer and TV. No more sound cord to deal with. Just a little black box. Simple. Roku comes standard with a video cord, but Josh and I plugged it into the TV using an HDMI cable instead. 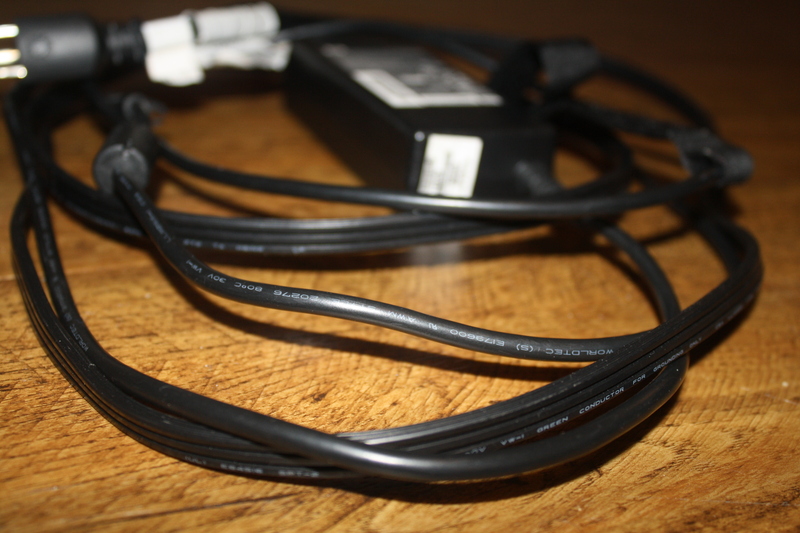 With the standard video cord, we had problems buffering some shows on Netflix, and the HDMI cable solved that. Roku also comes with a little remote. I like it (I find it comfortable and easy to use), but not everyone is a fan. 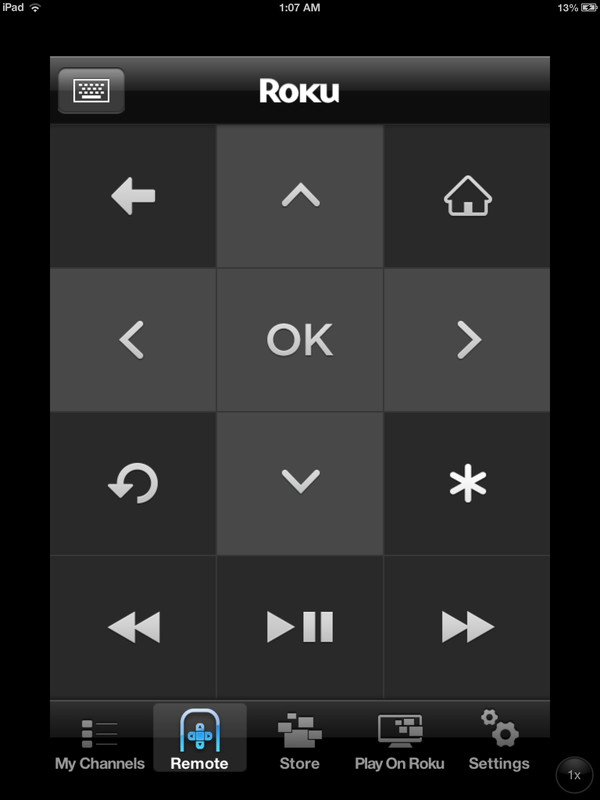 When you download the Roku app (available in iTunes or Google Play), you can program a remote to sync with your device, allowing you to use your smartphone or tablet as a remote for your Roku (though I imagine the phone is much less awkward than the tablet remote). 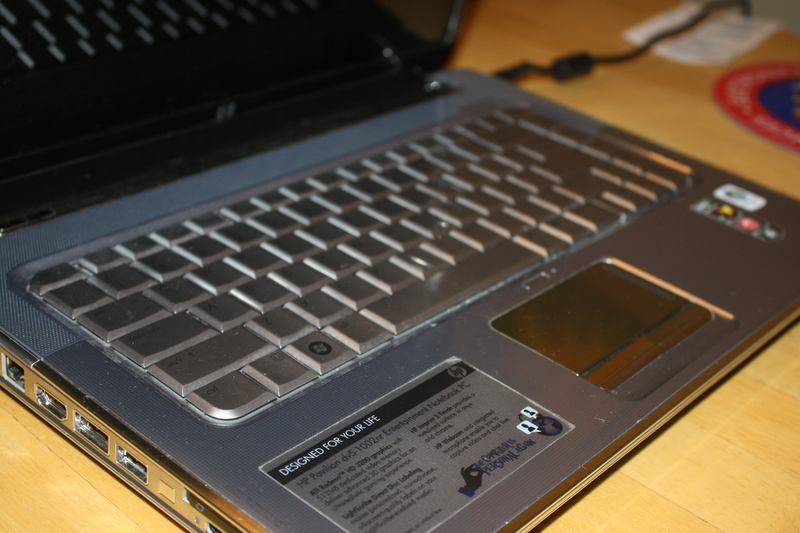 There’s even a USB port on the side, where you can plug in and watch digital copies of movies you own, listen to music or view your photos. 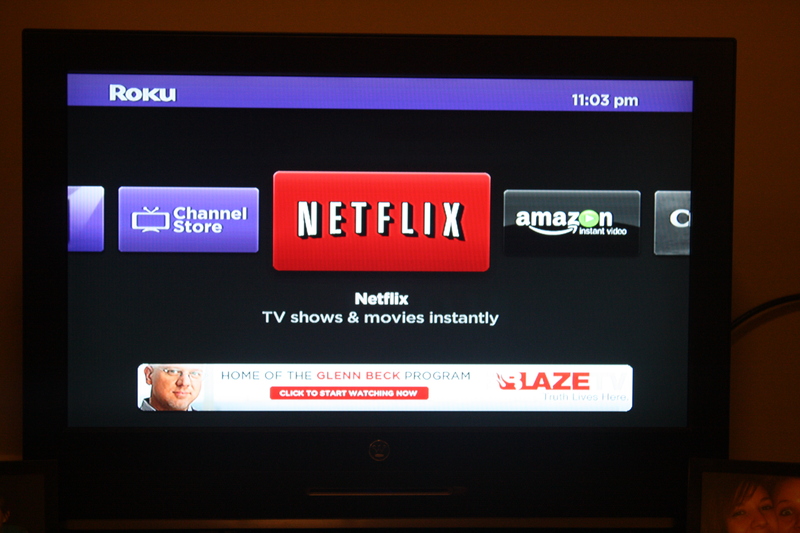 My initial excitement over my new Roku came from a want to easily stream Netflix, but Roku can do so much more. If you prefer Amazon, you can stream Amazon Instant Video movies and shows to your TV too. Or you can stream from Hulu Plus. Or Crackle, Vudu, Vevo, HBO GO, Epix… the list goes on. Some websites have jumped on board too. You can watch cooking videos from allrecipes.com—convenient if you have a TV located close to your kitchen. And some fitness subscription sites like Gaiam and YogaVibes give users unlimited access to workout videos via Roku. Though Roku is built for streaming video, it can bring other forms of entertainment to your TV as well. In fact, one of my favorite ways to use my Roku is for streaming music from Pandora—perfect for when I’m cleaning up around the apartment or chilling with friends (kidding—no one shares my taste in music). 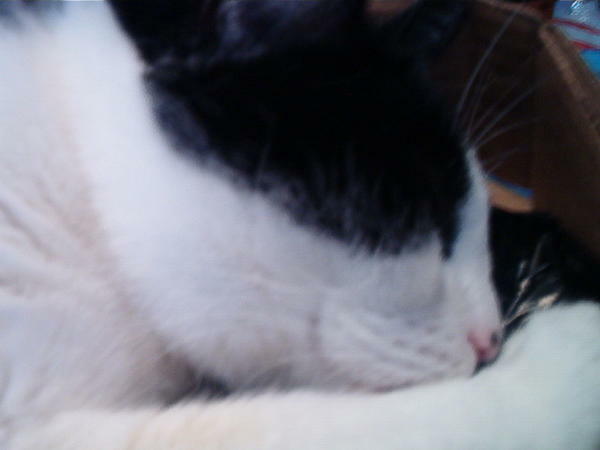 Roku also acts as a sort of gaming device. 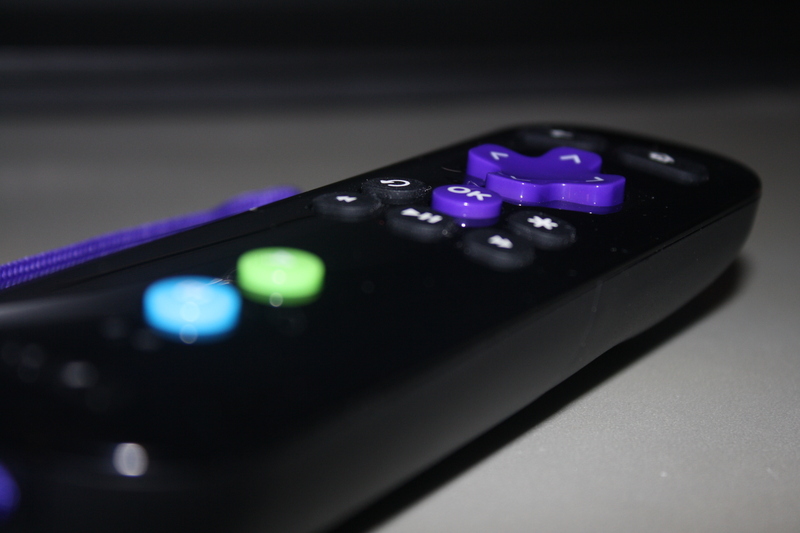 Much like Wii, Roku allows the player to interact with the screen by using the remote, which also acts as a mouse at times. However, I haven’t had much experience playing games on my Roku (I spent maybe five minutes testing out the Angry Birds game that came preloaded on it). Honestly, my fascination comes from streaming shows and movies. I was not reimbursed or rewarded in any way for this review. These thoughts and comments are my own and have no reflection on Roku, its employees or its affiliates. The Mirror. ($0.99) This app seems interesting enough, but I doubt I’d actually pay for it. You use your forward-facing camera to look in the mirror, which transforms your face into something scary/creepy. The app description says this about sharing the app with friends: “Make sure you volume is turned up and watch THEM scream!” So I guess there are spooky sounds to accompany the distorted reflections. 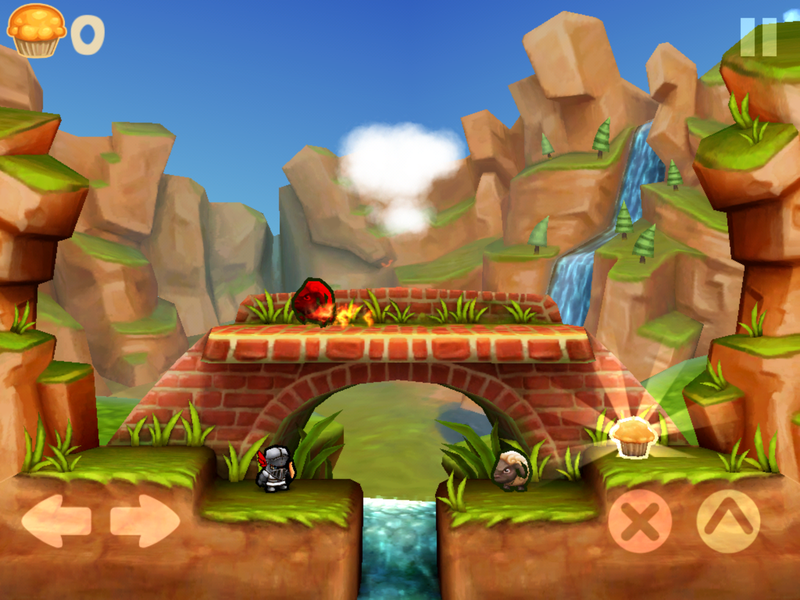 Available for iPhone, iPod Touch and iPad. Death Makes a Holiday: A Cultural History of Halloween. (Book) I like history. Like, a lot. So I might have squealed a little when I found this book on Goodreads. It looks at the history of Halloween (which is super-fascinating to me anyway) and mixes it with personal anecdotes as well as a social analysis. I’d love to have the chance to read it. 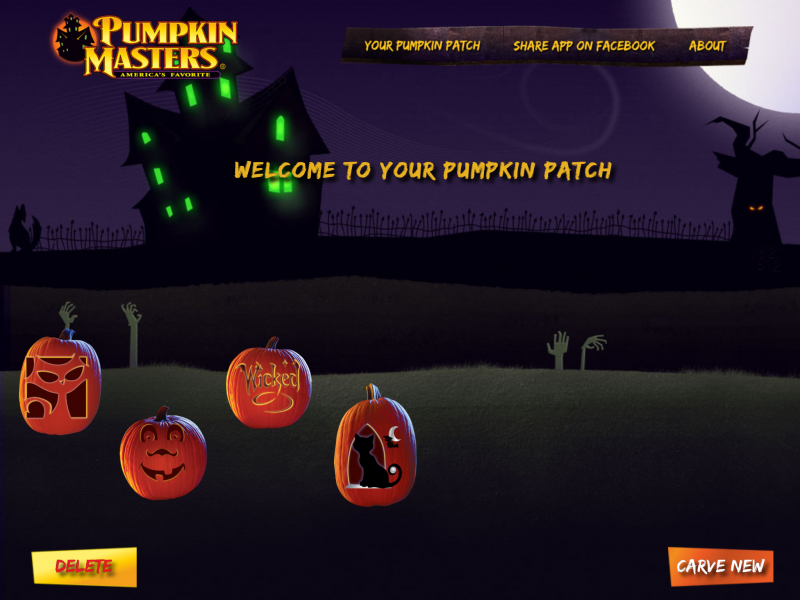 Pumpkin Masters Official Carving App. (Free) This adorable app can be fun for both kids and adults. You choose your pumpkin from seven shapes and pick a carving pattern. After watching a few-second-long cartoon clip of a the pumpkin’s lid being cut and its filling removed, you get to “carve” the pumpkin by swiping your finger over the design. Once the design is complete, you choose from four types of lighting. When you’re finished you have the option to save, start over or share the app on Facebook. I must say, this is a pretty spectacular (spooktacular?) free app. Available only for the iPad. The Simpsons: Treehouse of Horror. ($9.99 per collection) This was the Starbucks Pick of the Week last week, so I downloaded it for free. I haven’t had a chance to watch it yet, but I’m pretty excited. Now, the free app was only the first episode (which I still like). You can purchase individual episodes in iTunes for $1.99 each (linked above). Halloween Sounds Pro. 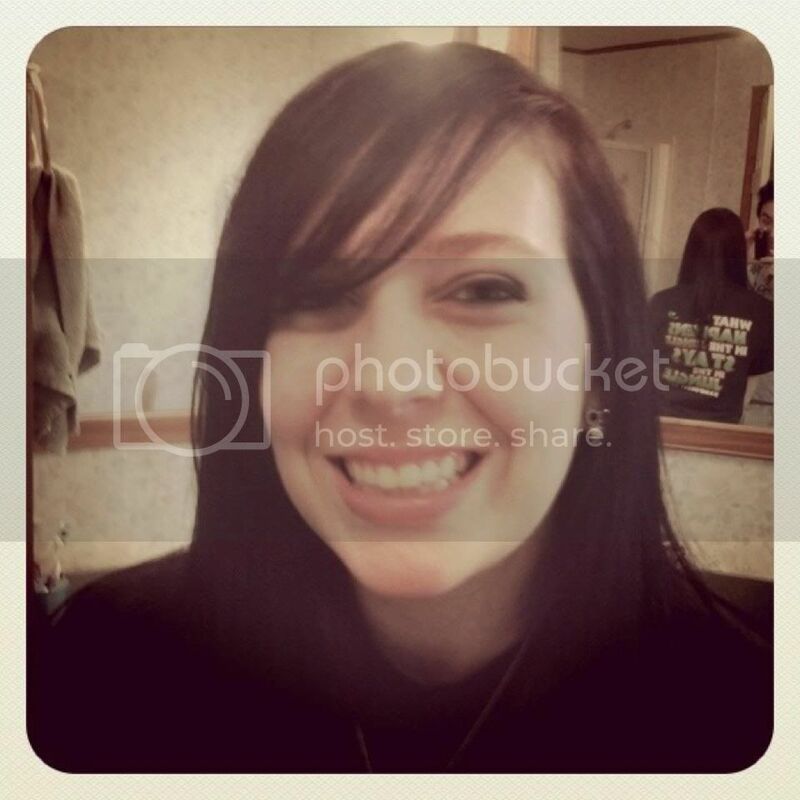 (Free) For a free app, it’s not too bad, though I’m not a huge fan. I think, if used very creatively, it could be good for a Halloween party or a haunted house. Or kids might enjoy the spooky sounds (and aggravating their parents). Beyond that, I don’t see much use for it. Available for iPhone, iPod Touch and iPad. Disney Scary Storybook Collection. (Book) I found this in Target last night and thumbed through it for a few minutes. It’s super cute. 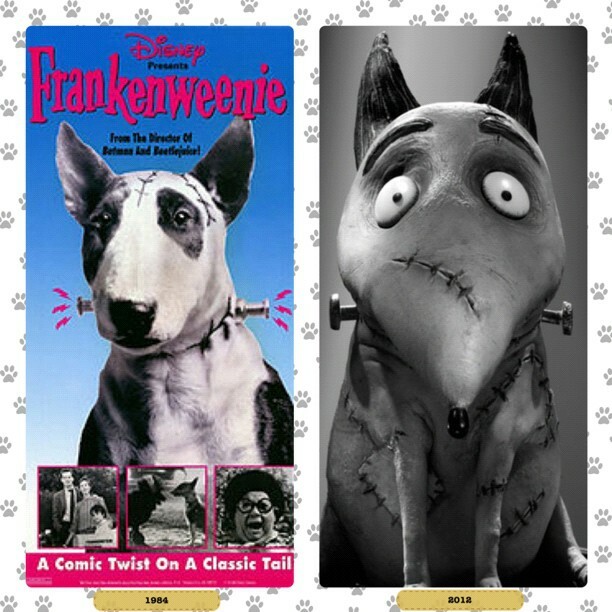 It seems to be the original Disney stories recreated for Halloween. There are 15 tales in this hardcover book. Target’s in-store price was $15.99 (though the online price appears to be $2 cheaper). Of course, it’s available online and in stores elsewhere as well. Costume-Decider. (Free) This app allows you to spin two wheels to decide what costume to wear. 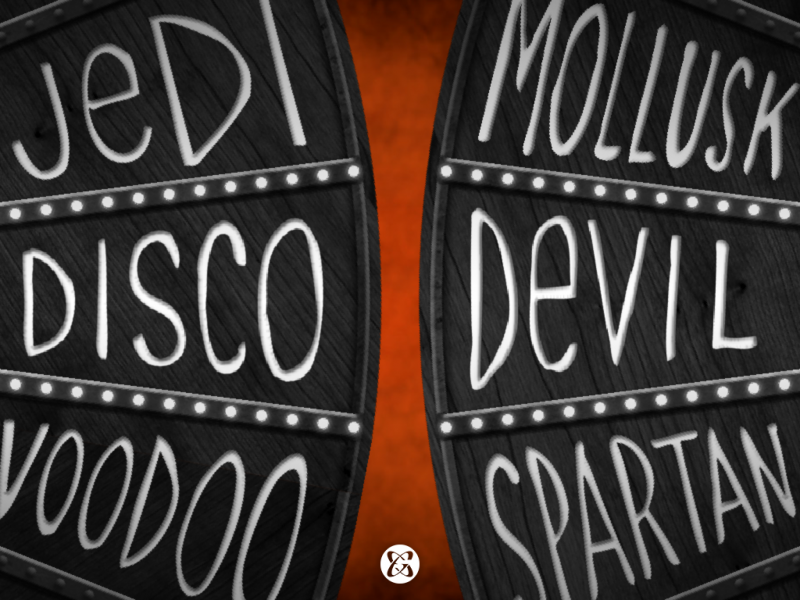 The costumes are often goofy selections such as “disco devil” or “werewolf nurse.” There are also sound clips to match each costume idea. Honestly, this might help me overcome my annual horrible costume curse. Available for iPhone, iPod Touch and iPad (linked above). 200+ Scary Stories, Sounds, and Pranks. ($0.99) I haven’t downloaded this, but it looks like it’s worth the money. This app feature more than 200 horror and ghost stories in an in-app e-book format, more than 40 haunting sounds and several pranks and games. The app gives you the option to set haunting sounds to play at random moments, which the app’s description says will “give your friends a good scare” and is “perfect for scaring yourself while you read.” Available for iPhone and iPod Touch. iPad version–100 Horror Stories, Sounds, and Scares for iPad–also available in the iTunes store.